Why attend an International Auctioneers Conference and Show? Founded in 1949, the National Auctioneers Association (NAA) is the world’s largest professional association dedicated to professional auctioneers. The NAA was built by auctioneers, for auctioneers. Headquartered in Overland Park, Kansas, the NAA represents the interests of thousands of auctioneers in the U.S., Canada and across the world. Today’s topic is “Why attend the International Auctioneers Conference and Show?” as auctioneers sometimes wonder if attending has merit. 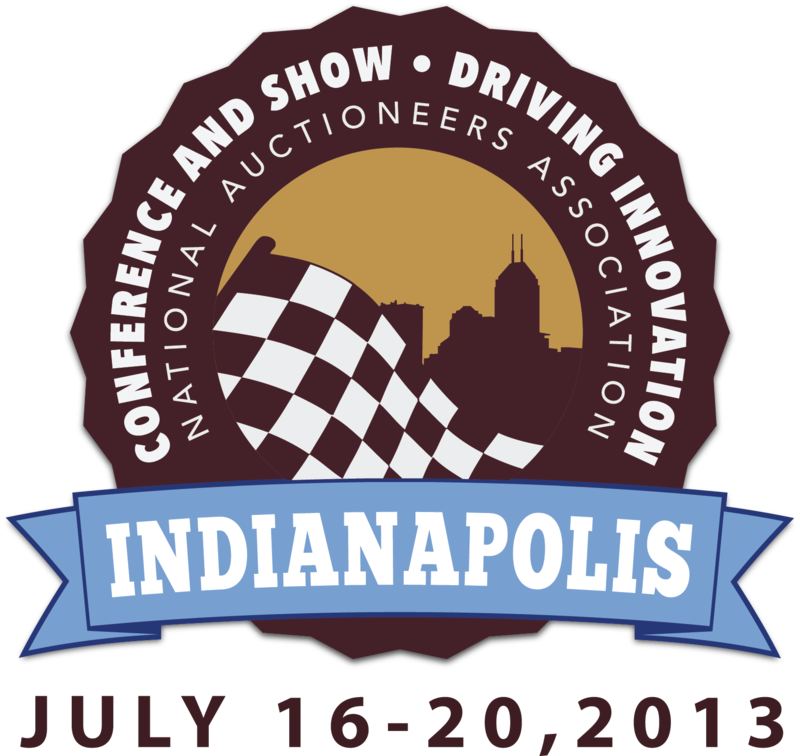 The 64th International Auctioneers Conference and Show was held in Indianapolis, Indiana, July 16-20, 2013. The 65th International Auctioneers Conference and Show will be held in Louisville, Kentucky July 8-12, 2014. For those who attended the 64th International Auctioneers Conference and Show in 2013, it’s likely our question has already been answered. For those who didn’t or haven’t attended an International Auctioneers Conference and Show recently — or ever — there are a multitude of good reasons to consider attending. Generally speaking, any of the aforementioned may be reason enough to attend. Yet, there is so much more which is somewhat intangible … difficult to quantify. Nevertheless, I’ll try. We have attended dozens of state and International Auctioneers Conference and Shows, and each time we stop to reflect on those experiences, we are overwhelmed by the support from other auctioneers and the support staff involved from both the National Auctioneers Association and the hosting state association. Our entire staff of auctioneers, clerks, cashiers, ringmen and support personnel have benefited by either attending themselves or being a beneficiary of our experiences. Gatherings such as these remind us we’re not alone in this business, and there are people just a phone call or email away if we need help. Lastly, it’s nice to get away from the home and office and reflect on the auction business distanced from distraction. The International Auctioneers Conference and Show fills each day from early morning to late evening with classes and events. And the conversations “in the halls” and other locations during any off time contributes to an auction indulgence like no other. An auctioneer might rightly ask … “Why take the time and expense necessary to attend …?” It seems clear to us that the International Auctioneers Conference and Show is the greatest auction show on earth, and most who have attended before more consider what it costs not to attend.